Jim Marous, Co-Publisher at The Financial Brand discusses the importance of data and analytics, and why there seems to be a gap between what businesses know they need to do with data to provide a great customer experience and what they actually deliver. 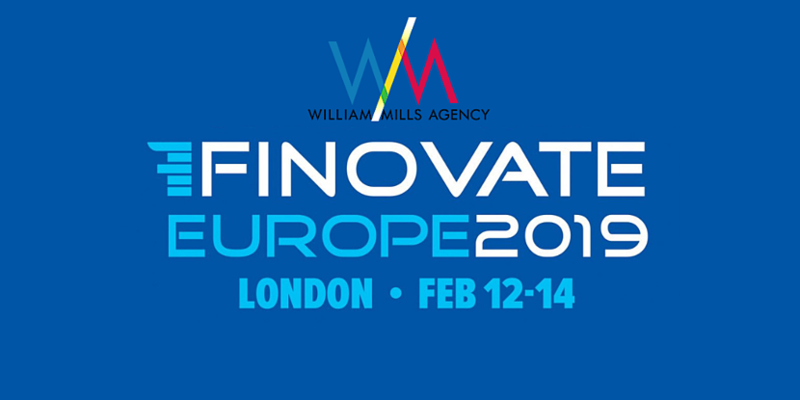 He shares with William why this happens, and why disrupting yourself is the best way forward, live from FinovateEurope 2019. JP Nicols, Managing Director at FinTech Forge, talked to William about re-positioning businesses for the new digital reality and his tips for those looking to innovate this year - "it's natural to want to slow down, but to remain competitive we need to move faster and get started. Don't get stuck with 'paralysis by analysis', get out into the market and test out your ideas." Julian Sawyer is COO at Starling Bank, a U.K.-based challenger bank on a mission to build a completely different kind of bank. Julian shares his insights on the applications of APIs and what open banking means for all banks, regardless of location. David Penn of Finovate sat down with Tan Le, Founder and CEO at EMOTIV, a bioinformatics company leveraging wearable EEG systems, cloud computing and big data to offer valuable personal insights and accelerate brain research globally. Tan shares why its important to ensure technology is inclusive and where the first ripples of innovation are being felt. William sat down with Olga Miler, former MD and Global Programme Architect at UBS Wealth Management, to discuss improving women's customer experience within finance and exploring why women are the biggest consumer market on the planet. Dave Jones, VP of Product and Industry Marketing at Nuxeo, talks to David Penn about the challenges of digital transformation and why it appears the industry knows where to go, but not how to get there. Gordon McKenzie, Managing Director EMEA, Ondot Systems Inc. sits down with David Penn. They discussed the idea of a "digital twin" and how it can assist you to spend wisely and gain more control and vision over spending. Giulio Montemagno, Head of Europe at Amazon Pay talks to William about deviceless transactions and the future of voice technology. Harrie Vollard, Head of Rabo Frontier Ventures at Rabobank talks AgriTech, the advantages of in-house venture funds and what start-ups in accelerators need to focus on to be successful. Richard James, Head of Digital Technology & Rachel Robinson, Head of Digital Strategy & Product Development at Nationwide open up about their experiences with digital transformation at Nationwide with David Penn. They touch on the importance of customer focused common goals, embracing modern technology and adopting an agile and lean mindset and approach, as well as why investing in your people and culture should be one of the first and foremost steps to lasting change.